Eric Carle Stories Come to Life on Stage! You'd know an Eric Carle book anywhere—all those adorable animal images, the unique collage-style illustrations that make each page look vibrant and rich, important lessons about science and nature, and the kind of gentle spirit that enchants children and sticks with adults. 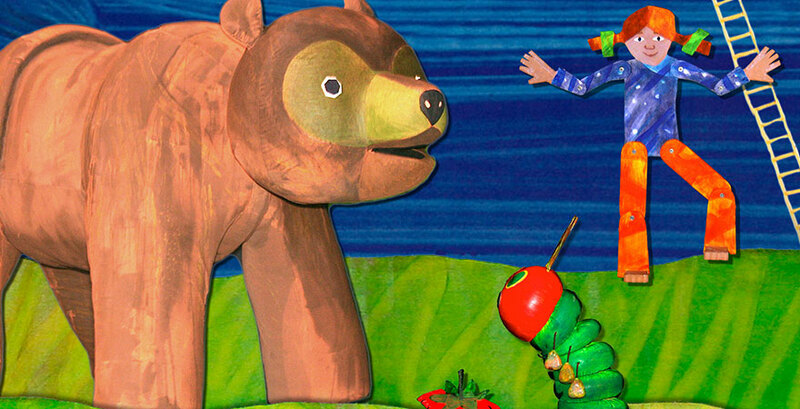 Don’t miss out as Mermaid Theatre of Nova Scotia brings A Brown Bear, A Moon & A Caterpillar: Treasured Stories by Eric Carle —a colorful, captivating, and larger than life adaptation of some of your family’s favorite childhood stories—to State Theatre New Jersey for two shows on December 11, 2016. Mermaid Theatre of Nova Scotia was founded in 1972 and performs hundreds of shows per year. The company has travelled to over 15 countries to share their captivating stories through puppetry, imaginative lighting, recorded narration, and original music. This live production includes the wonderful story of the metamorphosis of The Very Hungry Caterpillar into a beautiful butterfly, who is joined by whimsical cast of adventurous animals from the pages of Brown Bear, Brown Bear, What Do You See? Then, rounding out the show is Papa Please Get The Moon For Me, the story of a young girl's unusual quest. This hour-long production has earned international recognition for the theatre company, which is now in its 36th season. 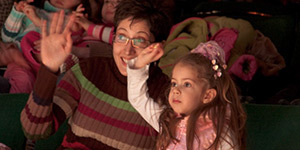 Mermaid Theatre of Nova Scotia’s choice of material is based on the belief that young people can benefit developmentally from early exposure to literature, the arts, and the power of imagination. The company’s objective is to produce work which is good theatre—entertaining, informative, and stimulating to all the senses. The goals of encouraging literacy and generating enthusiasm for the art of reading are just as important to the company. On the pages of a storybook, Eric Carle’s work is striking, endearing, and memorable. On the stage, his work is intensified immensely, making for an unforgettable theatrical experience for any child. Immerse yourself and the children in your life in the magic of storytelling by seeing Mermaid Theatre of Nova Scotia’s innovative production of A Brown Bear, A Moon & A Caterpillar: Treasured Stories by Eric Carle at State Theatre New Jersey on December 11, 2016.